What did you accomplish in ZC today? Did you finish that hard part of that certain quest? Did you revamp your temples today in ZQuest? Tell what you accomplish here in this thread! Enjoy the Moment more. This strengthens Imagination. Oh my gosh, this is a FANTASTIC thread. I love you Lynker, good thinking. Good to hear about your overworld, too! That's always an exhilirating accomplishment, in'nit? Like you feel 100 pounds lighter all day long? For me, always. Today I wanted to take my mind off my scripting woes, so I got to work on the Palette for a new (swamp) area. Now, when I do Palettes, I have to do them from scratch, because I use a totally modified, customized tileset, I can't just "grab" a palette from somewhere or edit an existing one. It can sometimes be hard or confusing work. It felt good to have the change of pace, though. I had fun making the new CSets. In fact I tried something brand new this time, by taking the two shades of green and swapping them (so the light green was now dark and vice versa). It had a very weird effect, which strangely, worked better than I expected, so I went and kept it! Today I made another cool cutscene and made some changes to my subscreen. I did something that was never done before (i think)! I wan't that people can play my quest now, but I didn't even finish the great town. And the cutscene is really, really cool too! I used many ffc's and even sound effects in strings, like Link's scream. Edited by Avataro, 06 February 2011 - 05:05 AM. 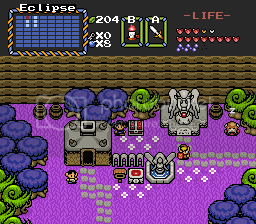 Oh, actually, last night I finished up Bikdip's Adventure II for a second time, and now I have to figure out how to get those pesky secrets which I didn't get around to the first time. Hopefully I can find them, but hey, I beat the game twice. I didn't even open ZQ at all! Woo! Edited by Lithium, 06 February 2011 - 05:13 AM. Wait what, what thing? I assume you mean the purple maze, which I did indeed do that, but I had to watch BikdipOnABus' let's play to figure it out. This may not be much but I moved my Level 7 from Map 7 to Map 5. Without Exporting or Importing, because it won't let me. 49 screens, copied from one map to another. 32 of those screens need to use Paste All. And I had to change all the layers to the correct map and get rid of what little was still left in Map 5 by moving it to Map 6, but there were only about 6 screens left. Of course, it's only about 11:20 AM in my time so I'll probably copy Level 8 over later. That shouldn't be too bad, it's the same size as Level 7 but without all the layers. EDIT:Copied Level 8 over to Map 5. Edited by Banjo7J, 06 February 2011 - 07:01 AM. ....Oh, my, GOD, dude. Wince wince wince wince wince wince. I wanna give you the biggest hug in the universe right now. That is NOT FUN. NOT FUN NOT FUN AT ALL. It is very much VERY MUCH pain and I have experienced it before, argharghargh that must have been a nightmare for you. Had to create an Item Drop Set for almost every individual Enemy, which took a good amount of time. There's a certain feature that requires it in my quest. Found a way to add custom Shields and Tunics in, but I have to wait for a ZC update to actually apply it to my quest. Debugged some parts of Level 6 in my quest, it's going to be a total of 73 screens, so not very fun to have to debug. Plus there are like a million passageways I need to test to make sure they end up in the right area. That's about it, I still need to finish a bunch of rooms (around 10? I think), then decorate Level 6 and then debug it again. After that, it's back to designing more of the overworld, which I actually dislike more than doing dungeons. Right now I'm stuck using a Vista computer, so I can't debug because it's like thirty times slower. Got to wait until I can use a different computer. I started working on the main overworld for LoRII. Yeah, I'm sort of working on it again but I won't be going full pin into it until I've finished FKDX. As of right now, it's just to get myself used to the set, so the screens don't look all that good right now. But the experience is invaluable. While not directly in ZQuest, I have been working on modifying dungeons for LoRII since I want to try something different. Today, I started a desert for the first town in a new quest i'm making. Looks pretty good, for what I have so far. But yesterday I made some more Kakariko Village, I'll be going back to doing that now.